Guys, it’s been a while. What have I been upto? I hear you ask. Mainly getting engaged and then going to Texas to see family for two weeks. I say to see family, what I mean is to eat burgers, to eat cheesecake, to drink beer, to eat Dairy Queen, to drink Coke, to eat pizza, and tex mex galore. So Ye, you can see why I haven’t been writing in my healthy eating blog too much…. Safe to say holiday season is over and it’s dawned I me I need to sort my life out and claw off some of those pizzas and tacos. So tonight I made this little delight. Set to one side once chicken is cooked through. I’m not afraid to admit I buy microwave rice- who has time to cook it?! 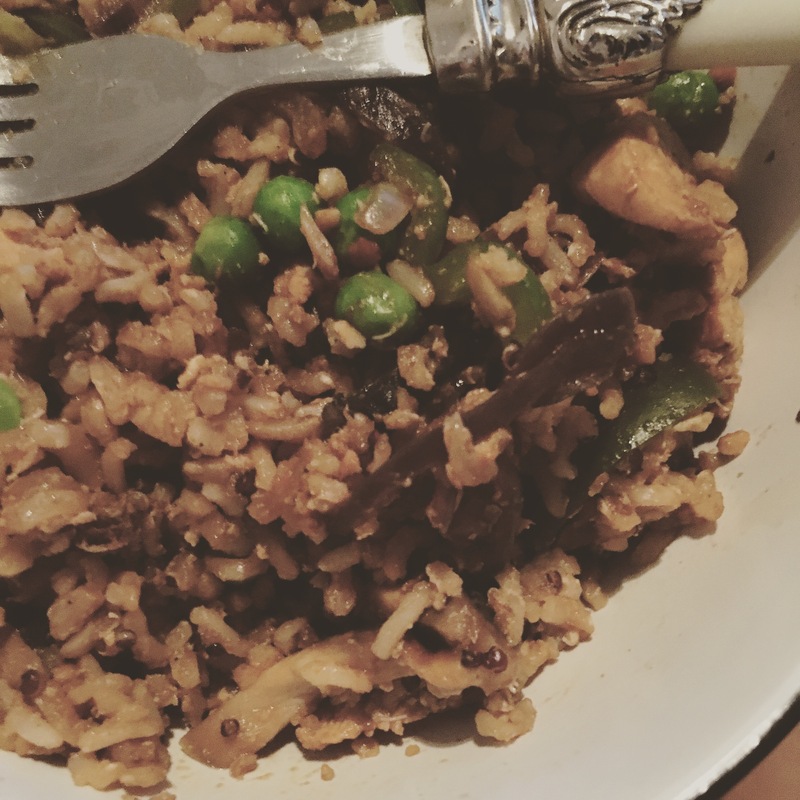 I love tilda brown rice with quinoa and that’s what I used in this. Add a bit more oil and crack a whisked egg in. Let it cook a bit and then mix the rice in. Add some frozen peas. Add the chicken mix to the rice and hey presto, a delightful, healthy and nutritious week night dinner in around 10 mins!!! Add some cashews it you’re feeling crazy.